The Originals (Friday nights, The CW), continues its hot streak this season. Season four truly is the best. You won't want to miss that episode. SPOILER, stop reading if you want to be surprised. Here goes: Davina's back for the May 12th episode. She was mentioned twice this go round. Once in a discussion between Freya and Vincent. And then by Davina's friend who's boyfriend was killed last season. That guy, by the way, Davina's friend, apparently works for good and evil. Or maybe he just hates The Originals. He stole the blade that was crafted that can kill a Michelson. Klaus had locked it in a safe. While everything was going on downstairs, the kid apparently stole it. The witches are assembled by Vincent, Klaus and Eli. To address the issue of The Hollow (the culling spirit that can destroy them all). Vincent, Klaus and Eli plan to figure out who is aiding The Hollow. Klaus has all these plans but Vincent's plan is already in place. He's using his cards and the one that he sees a vision of with a snake is the one helping The Hollow. And it turns out to be the witch Sofiya has been working with (as we knew from last week). Eli and he go round and round. He wants Vincent now and Marcel later. Eli listens to him babble while Hayley and Freya are at Hayley's parents home doing a spell. The spell lets Hayley see the people who killed her parents and see her father hide a key. Eli tires of the witch and marches him to the landing of the stairs where he holds him out above the other witches and kills him -- ripping his heart from his chest. The witches attempt to bury him but he is alive. Apparently, The Originals never learn that killing someone who doesn't appear to care about being dead. Sometimes, they have to be killed to get the power -- or were we not paying attention just two episodes ago. Sofiya wants to know where Marcel is (her sometimes boyfriend, remember). That's why she's there. Klaus won't tell her. She has a bracelet with thorns made from the blood of an Original that can kill Klaus. But he offers to release Marcel and she falls for it. Freya arrived to the party late because of what she and Davina were doing. She was upset/bothered when she walked in because Keelin was having fun. Later, the two had fun together. But Freya's talk with Vincent seemed to be about Davina but had a lot to do with Freya's emerging relationship with Keelin. Friday, April 28, 2017. Chaos and violence continue, The Mosul Slog continues, bickering continues between the governments of Qatar and Iraq, national reconciliation is declared doomed by State Of Law, and more. Not hyperbole: Many in the media have a bigger problem with Obama being paid for a speech than they had with Bush invading Iraq. And what of those hypocrites who have a problem with Bully Boy Bush starting the Iraq War and Barack Obama refusing to end it? Cat got your mouse and keyboard, Bruce P. Knight? Iraqis aren't as lucky as Bruce, they are silenced but not by hypocrisy. It's amazing how little outcry there is over this attack on freedoms or over the US arming and aiding a government so clearly corrupt and unable to reform. On that, the Iraqi government has refused to pursue reconciliation. This despite the 2007 'benchmarks' for continued US funding devised by Bully Boy Bush and signed off on by both the US Congress and the then-Iraqi prime minister Nouri al-Maliki. Ten years later and there's still no reconciliation. Yet, somehow, US funds, arms and troops still go over to Iraq. ISIS only rose to prominence in Iraq because Nouri al-Maliki refused reconciliation and persecuted the Sunni people. In 2014, Hayder al-Abadi became prime minister. 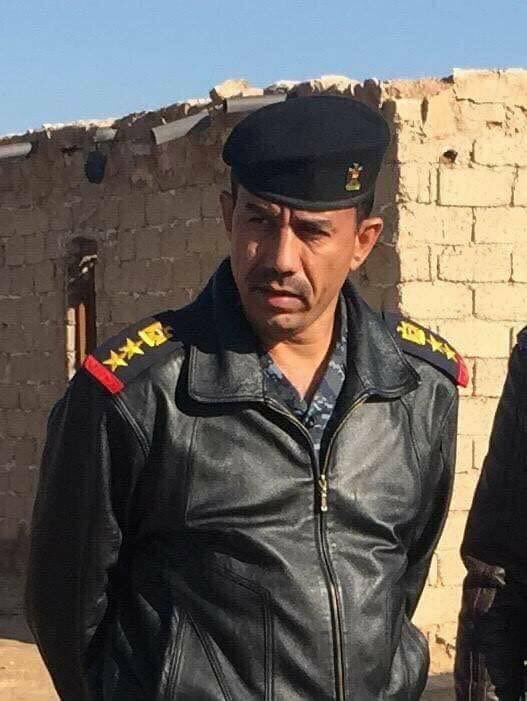 #Mosul: #ISIS has killed the #Iraq|i Colonel and commander of the 18th Brigade Khader Tal Morshedi in Western #Mosul. It's day 191 of The Mosul Slog. The hospital opened by Doctors Without Borders/Médecins Sans Frontières (MSF) in Qayyarah, Iraq, last December is around 35 miles (60 km) south of Mosul. Distant enough not to hear the sounds of airstrikes and rocket fire, but sufficiently close for the wounded to be brought in when medical facilities nearer the front line are no longer able to cope. On February 18, the Iraqi army launched an offensive with the support of the U.S.-led coalition to retake west Mosul, the part of the city still under control of the so-called Islamic State. The fighting has claimed many victims, and large numbers of people continue to flee from neighborhoods being gradually recaptured by the army. Some of those displaced by the fighting have ended up in camps in Qayyarah. The MSF team is now caring for patients from west Mosul, displaced persons camps, Qayyarah town, and the region. The MSF team treats medical and surgical emergencies as the hospital in Qayyarah has an emergency room, operating theater and inpatient departments. The level of activity is intense—between January and March, more than 3,750 patients were admitted to the emergency room. A four-bed intensive care unit was recently opened to provide care for burn victims, patients in shock and other critical conditions. The team in the emergency room sees patients wounded by airstrikes, explosions, mortar fire and land mines. Away from major roads, there are still mines that occasionally injure children, farm workers and shepherds. In west Mosul, whole families sometimes fall victim to the fighting. Below, MSF emergency doctor Ana Leticia recalls the story of a family caught in an explosion while trying to escape west Mosul. The mother was in a state of shock when she arrived. Her 12-year old daughter looked after her younger brothers and sisters while waiting for her mother to be cared for by the MSF psychiatrist and get better. MSF has set up mental health consultations in Qayyarah for patients from the hospital and displaced persons’ camps. The team—a psychiatrist, two psychologists and a counsellor—treat adults and children alike. Psychiatrist Joëlle Vernet set up the provision of mental health care in the hospital. "People have endured extremely tough situations," says Vernet. "And they still don’t feel at all safe, particularly as the bombing hasn’t stopped and there are soldiers and the sound of gunfire everywhere. They live in fear, they’re scared of reprisals. They don’t know what they can say or who they can say it to." Many child patients are suffering from intense distress and displaying behavioral issues as a result, she says. "It was even harder for the parents—in reality mostly mothers, as the fathers were no longer with them. They didn’t have the strength to cope with their children’s pain and emotions. So our work was not just treating the child, but also treating the mother too, and child and mother together. MSF hospital in Qayyarah is currently the only hospital structure properly set up to receive children in the area of Ninewa. Around half of all patients receiving treatment in the emergency room are under the age of 15. Of the 192 patients who attended a mental health consultation from the beginning of February to mid-April, 30 were children under the age of 13. 8-year-old Duha and her family lived in west Mosul. Last month, their home was hit in an airstrike. Her mother, father and 16 other people in the house at the time were all killed in the bombing. Duha was the sole survivor. A neighbor dug her out of the rubble, but her head, hands and one leg were severely burned. She now lives in east Mosul with her uncle who brings her to the hospital regularly to have her dressings changed. As the Iraqi army advanced into west Mosul, many families were able to escape. The MSF team has been seeing children with acute malnutrition, affected by food shortages in besieged West Mosul. To treat malnourished children, MSF has set up a 12-bed therapeutic feeding center in Qayyarah hospital. Most of the children are under six months old, explains Ana Leticia, MSF emergency doctor. Since the start of the military offensive to recapture Mosul in October 2016, MSF teams have increased medical and humanitarian assistance in Ninewa governorate. Across the country, MSF is working alongside Iraqi health staff in 10 governorates to ensure that the population has access to emergency medical care, including mother and child care. Over 18 months ago, 26 citizens of Qatar were kidnapped while on a hunting trip in Iraq. Last week, they were freed. What should have been good news has instaed resulted in a back and forth of claims. Who paid the ransom, where did it go, who is responsible . . . The deal to secure the recent release of a Qatari hunting party kidnapped in southern Iraq went ahead with the "full knowledge" of Baghdad, officials in Doha claimed on Thursday, after Baghdad accused the Gulf emirate of paying ransom money without its approval. Qatar regularly consulted with Iraqi officials during the tense negotiations with kidnappers, it claimed, in the first official statement made by the normally secretive government in Doha since the release last week. Governments have longed made deal with designated terrorist groups in Iraq (this includes the US government, see 2009's deal, for example, with The League of Righteousness) but then they try to deny any such deal was made.